Athens, Ga. – M. Jeffrey Martin, CPA, LLC, based in Saint Simons Island, was recognized as the No. 93 fastest-growing business owned or operated by a University of Georgia graduate during the 2015 Bulldog 100 Celebration Feb. 7 at the Atlanta Marriott Marquis in downtown Atlanta. M. Jeffrey Martin, CPA, LLC, owned by 1987 and 1984 UGA graduates Jeff and Lynn Martin, specializes in tax and accounting services for small businesses and their owners. “We are honored to be associated with such a dynamic group of businesses. We owe this distinction to our clients, because we would not be here without them,” said M. Jeffrey Martin, C.P.A. 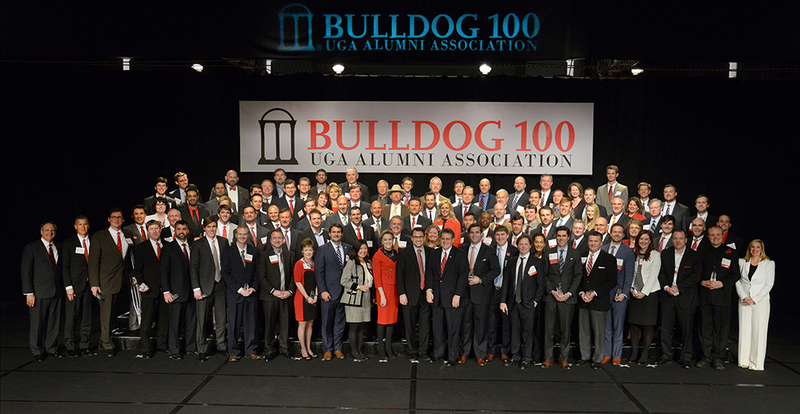 The Bulldog 100, a program coordinated by the UGA Alumni Association, recognizes the 100 fastest-growing businesses owned or operated by UGA graduates. More than 450 nominations were received for the 2015 Bulldog 100. The class includes companies of all sizes, providing services and products in a variety of industries, including dentistry, law, IT, consulting, retail and pest control. Companies as far west as Texas and as far northeast as Pennsylvania, made the list this year. The average compounded annual growth rate for this year’s Bulldog 100 businesses was 47.66 percent. Warren Averett CPAs and Advisors partnered with the UGA Alumni Association to review nominated business’ financial records to determine the ranked list. Nominations for the 2015 Bulldog 100 were accepted between January and May 2014. To be considered for the list, each organization must have been in business for at least five years, experienced revenues in excess of $100,000 for the calendar year 2011, and be owned or operated by a former UGA student who owns at least 50 percent of the company or be the CEO, president or managing partner. The Bulldog 100 recognizes the fastest-growing businesses regardless of size by focusing on a three-year compounded annual growth rate. To recognize the 100 businesses’ success and the 146 alumni who lead them, the UGA Alumni Association hosted the 2015 Bulldog 100 Celebration Feb. 7 at the Atlanta Marriott Marquis in downtown Atlanta. The evening began with an optional roundtable discussion session with Bulldog 100 business owners, followed by a reception, dinner and keynote address given by 1981 UGA graduate Hala Moddelmog, president and CEO of the Metro Atlanta Chamber. The 2015 fastest-growing business was Kabbage, Inc., an Atlanta-based firm co-founded by 1995 UGA graduate Marc Gorlin. Kabbage pioneered the first financial services data and technology platform to provide small businesses with financing. The company uses data, such as shipping history, business volume, and social media activity, to extend short-term cash advances to small- and medium-sizes businesses online. To view the complete list of 2015 Bulldog 100 businesses, photos from the event or nominate a business for the 2016 Bulldog 100, see www.alumni.uga.edu/b100. Nominations will be accepted from Feb. 9, 2015 through June 1, 2015 at that website. Serving small businesses and their owners. We make accounting less taxing. For more information, see www.ssicpa.com. The UGA Alumni Association supports the academic excellence, best interests and traditions of Georgia’s flagship university and its more than 288,000 alumni worldwide. For more information, see www.alumni.uga.edu.